Me when I just have a couple limpets left and I still haven't filled my type-9 heavy with painite. Type-9 heavy, designation Fat F**ker, leaving for Ceos. A case for the Type-9 Heavy? Unlocking ship in "Need for Speed" style. Type-9 Heavy. 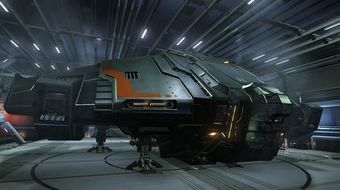 Need a good Type-9 Heavy Mining outfit. Just got a Type-9 Heavy, need a good trading load-out. Does anyone know if there's Beta support for the latest Type-9 Heavy controller? A very simple request for any Type-9 Heavy pilots out there.